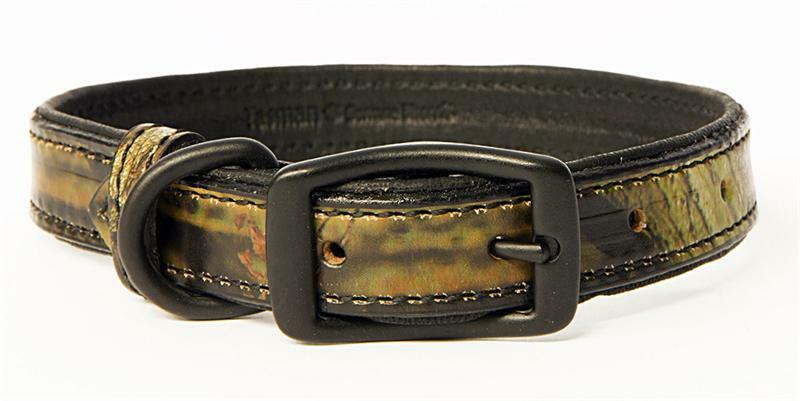 Our Genuine Bison Camo Leather Collars are made with our unique procedure whereby we apply a camouflage film directly to our eco-vegetable Tanned Bison Leather. 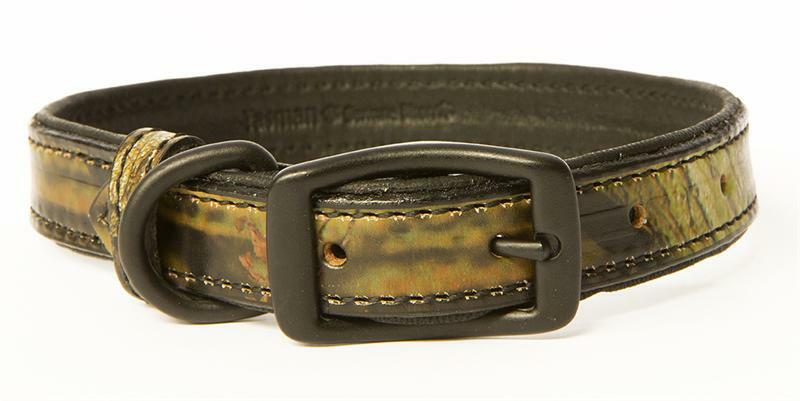 We then line the Camo Leather with our USA Made American Elk skin Leather in Black . Black Hardware all around completes this truly unique Collar. 1 inch wide, 2 Ply matching Camo Lead with Black Elk lined Handle also available.